Illinois’ Giana O’Connor performs a routine on the balance beam during the meet against Minnesota at Huff Hall on Feb.7. The Illini won 195.775-195.375. The Illinois women’s gymnastics team had a lot to celebrate after last Saturday’s victory over Iowa. The Illini were away at the Carver-Hawkeye Arena in Iowa City, Iowa, when they achieved a season-high 196.975 team total — tying the second highest score in program history. They also hit a 49 on all four events for just the second time this season. Junior Giana O’Connor even tied the second-best all-around total in program history with a 39.600. Despite that, Illinois wasn’t completely satisfied with its performance. 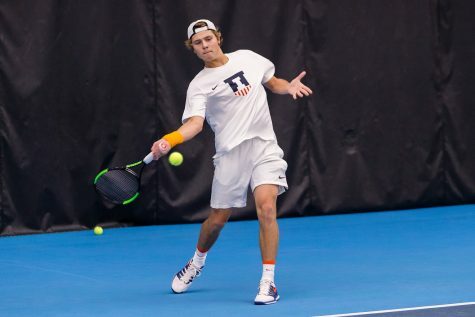 Details like sticking more landings, pointed toes and straight legs are just some of the things the Illini want to improve upon, especially considering technicalities like those cost them a 197. 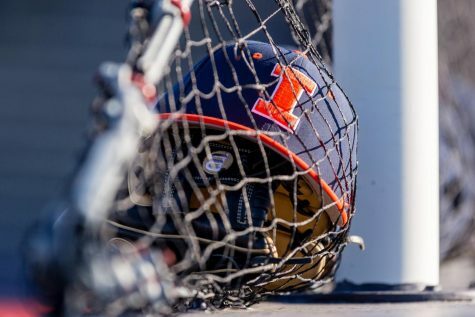 It’s for that reason the Illini used their practice time this week to focus on perfecting the details in their routines. 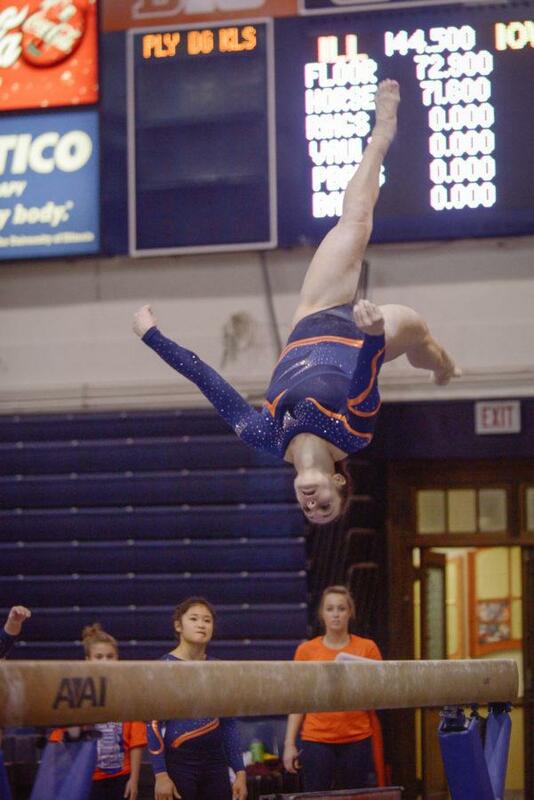 Illinois has the chance to execute its training for the competition against Michigan State on Friday at Huff Hall. 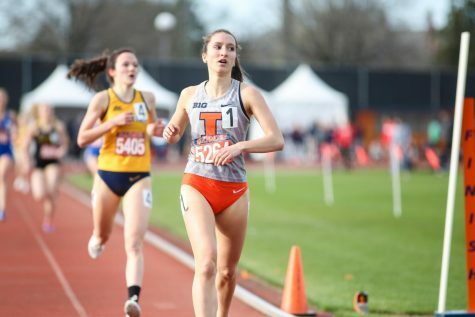 At a Friday meet, though, Illinois has a “quick turnaround,” as sophomore Sarah Lyons put it. 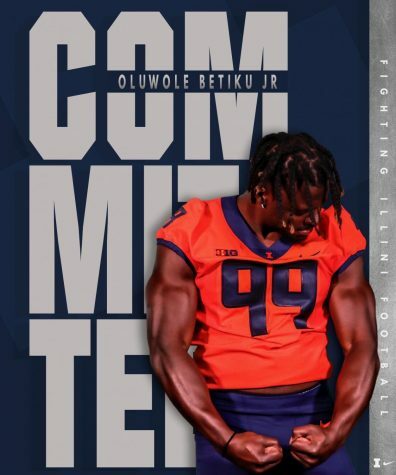 The Illini only had three training days to prepare for their competition, so they’ve also stressed the idea of quality over quantity. However, Illinois is not only coming into the competition off its best meet of this season, but it also has the upper hand over Michigan State. Illinois has defeated Michigan State to earn the Victory Plank — a trophy awarded to the winner of the annual matchup — since its creation in 2010, aside from 2012 when the meet ended in a 195.175-195.175 tie. In addition, the Illini moved up two spots to No. 13 in the GymInfo rankings this week. They remain ranked on all events, while sophomore Mary Jane Horth (all-around and uneven bars), O’Connor (vault) and senior Sunny Kato (balance beam) are also ranked as individual competitors. 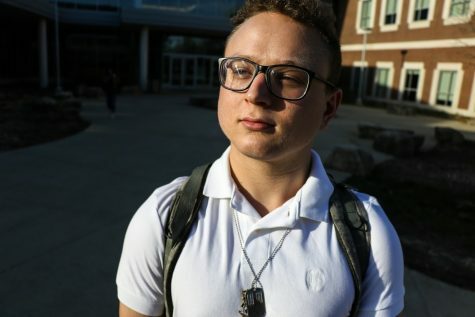 Meanwhile, Michigan State is unranked with a 194.832 season average and a season high of 195.750. The only event Michigan State is ranked in is floor, where the Spartans are No. 19 with a 48.943 average, while the Illini are just behind at No. 20 with a 48.933 average. Head coach Kim Landrus also likes the momentum Illinois has and the consistency the gymnasts have shown, which has built up the Illini’s confidence even more.